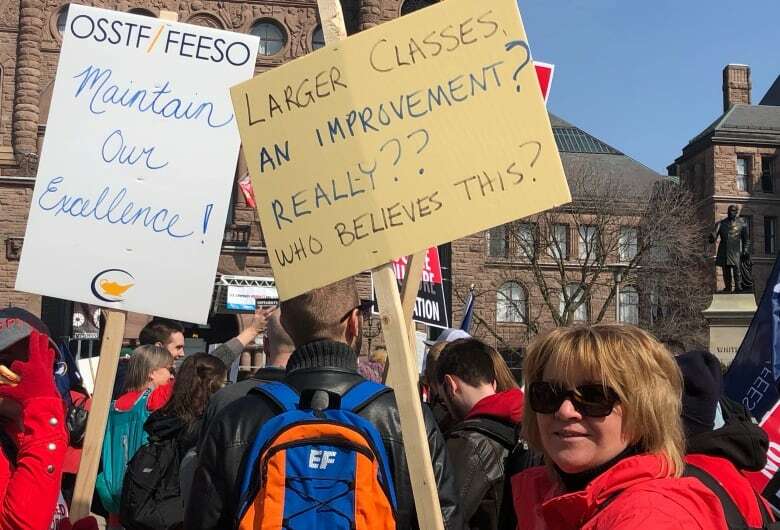 The rally was organized by members from five different teachers’ unions. Demonstrators, some from as far away as Sudbury, Ont., arrived to Toronto in more than 150 buses. 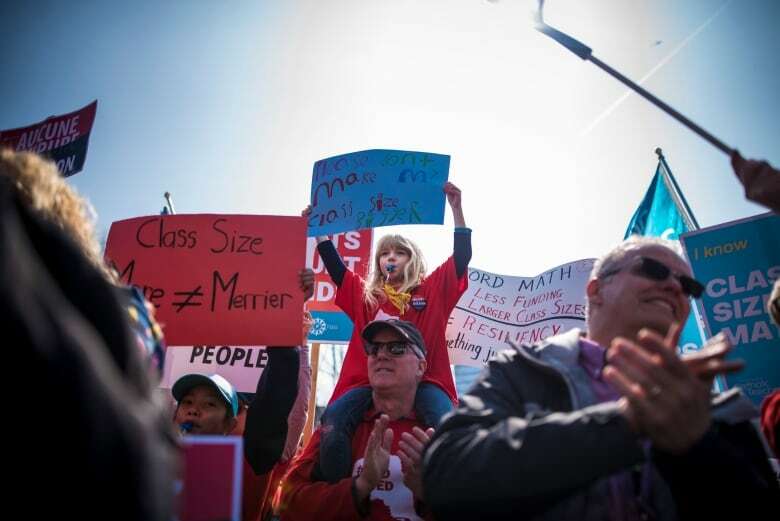 They were joined by large groups of parents, students and school board trustees. Meanwhile, some fear that schools will lose the capacity to assist students seeking services outside of the classroom. Ross Newhook, a guidance counsellor at Lorne Park Secondary School in Mississauga, Ont., said “it’s very disheartening” that students could see less access to things like mental health support. “We’re seeing such a tremendous increase in mental health issues right now, and that’s all going to be downloaded to classroom teachers who — with an increased class size — don’t have the capacity to deal with that,” he says. 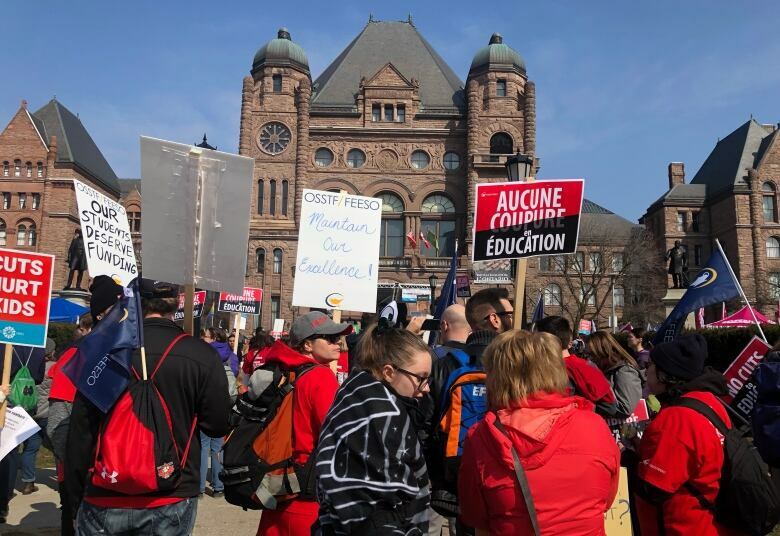 Newhook is up for retirement next year, but said he was compelled to join Saturday’s protest because he’s concerned about the well-being of Ontario students.